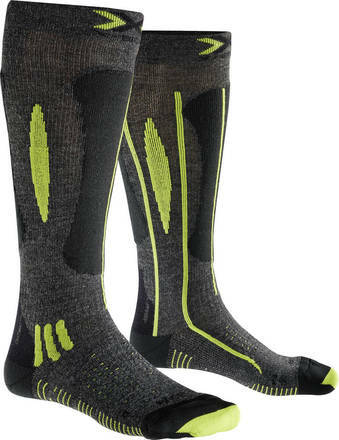 The Effektor Race series ski socks from X-Bionic have been made to entyce the brain to produce an increase in messenger - Going from the brain to the feet. This stimulates circulation in the feet and increases the supply of valuable nutrients. These socks have been designed to give you the best possible support for racing in the crouched position. They also have all the other benefits like the other X-Bionic socks. Excelent comfort, temperature control and support.